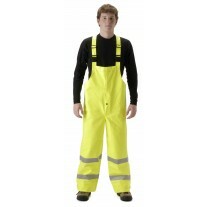 You will earn 639 Points for purchasing this product. 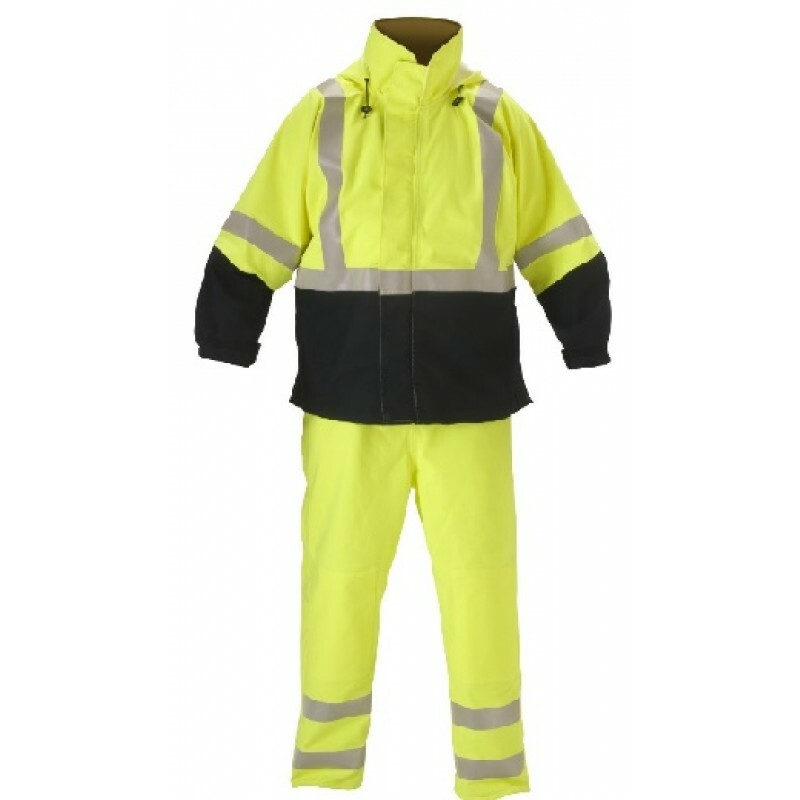 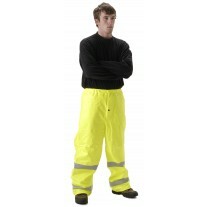 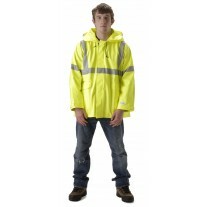 NASCO Omega Navy/Fluorescent yellow waist length jacket, hood-in-collar, non-conductive zipper front with Velcro® storm fly front, fall protection access, 2 side entry pockets, tool belt slit with zippers, liner attachments, 3M Scotchlite™ 2″ reflective trim around chest, over-shoulder harness and biceps. Omega™ is the first waterproof, breathable outerwear product that combines high visibility worker conspicuity with protection from the thermal hazards associated with an electric arc flash and hydrocarbon flash fires. 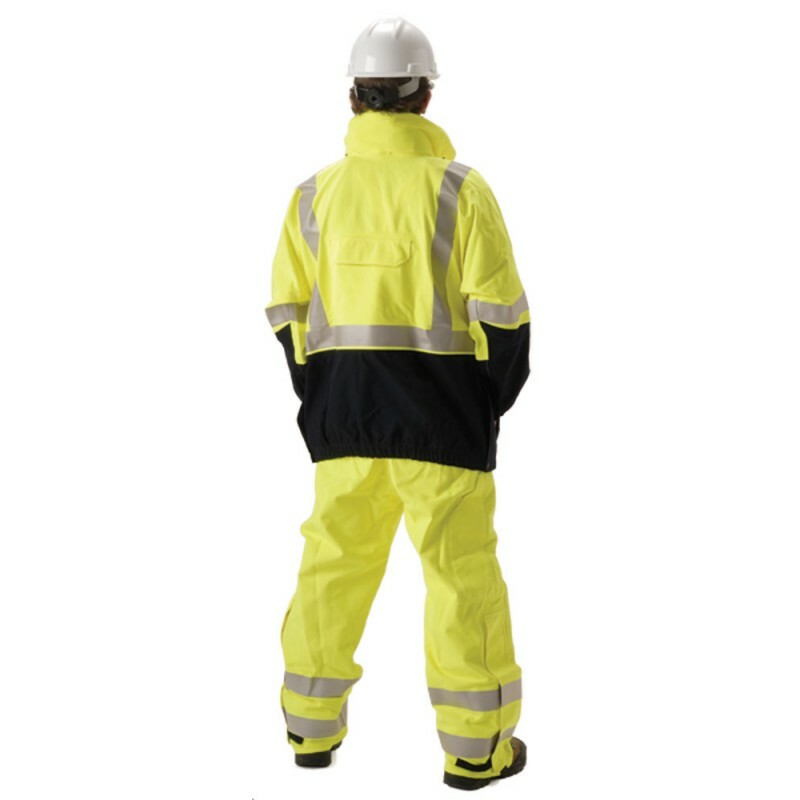 8.5 oz/yd² Advanced Material trilaminate, ePTFE moisture barrier, Arc Resistant (ASTM F1891, NFPA 70E), Flash Fire Resistant (ASTM F2733), HiVis (ANSI 107-2010), Stitched and taped seams, waterproof, breathable, windproof, Made in the USA. 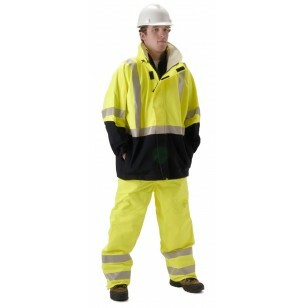 Omega is designed for today’s rugged work environment.